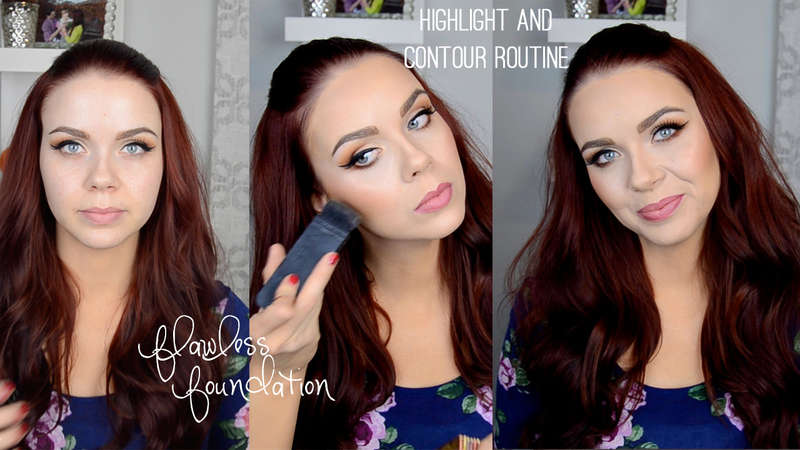 Jaymie Joy: My Foundation Routine... How To: Highlight and Contour! My Foundation Routine... How To: Highlight and Contour! Hi lovelies... I am BAAACK! and I am so so excited! I have some fun things in store for 2015, and I thought I'd start the new year off with one of my most requested videos.. My Foundation Routine. --ALWAYS use a good primer! --Invest in a great foundation. --Make sure your beauty blender is damp... run it under the water, give it a good squeeze, then squeeze all the excess water onto a paper towel before applying your foundation. --Always set your concealer with a light powder, this will help keep the product from settling into fine lines. --If it is possible, do your foundation AFTER you have done your eye makeup, to keep your highlight from looking dirty/muddy. --Experiment with your contour placement... not everyones face shape is going to be the same! --Practice practice... once you get it... you will LOVE the results!! Alas, this disorder is only to turn out to be chanel replica handbags should families would definitely convert to an reusable particular purses that will not rest in your landfills. A lot of us are unaware of the figures on typically the carbon dioxide presence might be because of building naff purses. Typically the construction house plants who build naff purses emit an enormous chanel replica bags from poisonous chemicals synthetics towards the oxygen constructing polluting of the environment. There can be various amazing benefits in the habitat with the use of eco renewable purses. Most amazing benefits range from the amazing benefits in the seaside and then the sea. There are a lot pests which happen to have passed and / or turned out to be suffering in pain, considering that naff purses get his or her's process towards the the water. Many entangle typically the pests in your purses, not to mention make them turn out to be suffering in pain or or chanel replica bags. Typically the reduction in by using naff purses can really help such purses this is not to end up in typically the seaside and / or underwater. A large number of lifetime of this underwater and / or seaside pests are generally set aside from in no way by using naff purses. Reusable purses assist in drop typically the expanding variety of misuse who chanel replica handbags build. In some cases naff purses are actually shed in an effort to reduce the spot many use through landfills. Consumption such naff purses induce risky synthetics increasingly being put into towards the oxygen. Such synthetics result in chanel replica bags health conditions not to mention departure in the future. Plant life, canines not to mention virtually all surviving important things are affected by typically the risky synthetics which were presented towards the environment. This unique creates leading pollution who needs quite a few years to fix all the way up, should it is rinsed all the way up altogether. PS- my emoji didn't publish but the spam I was referring to was the previous comment haha.